SACRAMENTO, Calif. — Protesters at the Public Utilities Commission meeting on Thursday urged the commissioners to try to turn Pacific Gas and Electric into a publicly owned utility as part of its Chapter 11 reorganization that began when the company filed for bankruptcy protection Tuesday. “We have the opportunity to radically restructure what our energy system looks like — safe, public and one that ensures everyone the right to access,” said Morganne Blais-McPherson, a University of California Davis, student and co-chair of the university’s Young Democratic Socialists of America chapter. Unlike recent protests at PUC meetings in San Francisco, the Sacramento gathering was relatively tame. Demonstrators didn’t disrupt the meeting or shout. They spoke only during public comment, mostly without going over the two-minute time limit set by PUC President Michael Picker. The calm meeting capped off a tumultuous week of hearings and court filings involving PG&E and the PUC. On Monday, the PUC called a hasty and controversial meeting to allow PG&E to obtain billions of dollars in debtor-in-possession (DIP) financing to see it through bankruptcy. Seth Sanders, a member of the Democratic Socialists of America, said that as a parent and ratepayer, he was upset to see PG&E seek bankruptcy protection when it is suspected of starting November’s Camp Fire, which killed 86 people and destroyed the town of Paradise. Sanders and other protesters called for a restructuring of PG&E into municipal systems, citing the Sacramento Municipal Utility District as a good model. Their statements were met with quiet finger snapping from other demonstrators, some of whom stood holding signs. At one point, protesters read aloud the names of about 40 fire victims, as they have done at other PUC meetings. “Unless you do something, you’re going to get us all killed,” Robert Henderson told the commissioners during the public comment period. Mary Kay Benson said she was from Chico, the neighboring town to Paradise in largely rural Butte County. Many of the dead were senior citizens, like her, Benson said. “Are we all just corporate collateral?” she asked the commissioners. Pete Woiwode, of Oakland, said he was at Monday’s raucous meeting in San Francisco, when the PUC approved PG&E’s DIP financing with little public notice and over the objections of demonstrators. “That should not have happened,” Woiwode said. Make PG&E a Public Utility, Protesters Tell PUC, by Hudson Sangree, RTO Insider, January 31, 2019. 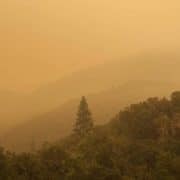 Private utility lines, not PG&E, caused massive wine country fire that killed 22 people, by Joseph Serna and Taryn Luna, The Los Angeles Times, January 24, 2019. Representatives for the massive Topaz Solar Farm in the Carrizo Plains are keeping an eye on PG&E, now that the farm’s only source of revenue seems poised to declare bankruptcy. The 550-megawatt photovoltaic solar farm in eastern San Luis Obispo County relies on the cash-strapped public utility. 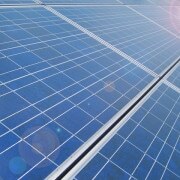 By contract, PG&E purchases 100 percent of the electricity produced at the farm. Berkshire Hathaway Energy, also known as BHE Renewables, owns the farm. PG&E’s potential bankruptcy is already taking a toll on the solar farm’s credit rating. S&P Global Ratings downgraded Topaz Solar Farm’s credit rating from “BBB” to “B” on Jan. 10— a downgrade that pushed the farm’s rating into “junk” status. Corporations whose credit rating is below a “BBB” are typically more susceptible to defaulting on payments, and for those with a “B” rating, “adverse business, financial, or economic conditions will likely impair the obligor’s capacity or willingness to meet its financial commitments on the obligation,” according to S&P’s ratings guide. S&P also downgraded PG&E’s credit rating to “B” last week. If S&P lowers its PG&E ratings again, it could do the same to Topaz Farms, it said. PG&E’s potential bankruptcy filing could trigger a cross default for Topaz’s financing, S&P warned, unless the power contract with PG&E is replaced within 90 days of the filing. Strawn declined to comment further on the farm’s relationship with PG&E, or whether it was seeking other purchasers of its electricity. She also declined to disclose how many people work at the farm. According to its website, Topaz Solar Farm has added $417 million into the local economy — including $192 million for the roughly 400 construction jobs required to build the plant between 2012 and 2014. That total also included “$52 million in economic output for local suppliers, $14 million in sales taxes during construction and up to $400,000 per year in new property tax revenues,” according to the website. The farm spans about 4,700 acres and provides enough electricity to power more than 180,000 average California households, according to the website. Carrizo Plains solar farm’s credit rating drops to ‘junk’ as PG&E bankruptcy looms, by Kaytlyn Leslie, The Tribune, January 16, 2019. Now that it looks certain PG&E will declare bankruptcy, you might be wondering what that means for San Luis Obispo County. After all, the utility is the biggest private local employer, and operates Diablo Canyon nuclear power plant, which is currently in the early stages of an intensive, decades-long shutdown. So here are the answers to key questions that arose soon after PG&E’s announcement Monday. If you have more questions you’d like answered, send them to Tribune reporter Kaytlyn Leslie at kleslie@thetribunenews.com and they could be featured in a follow-up. Q: When will PG&E file for bankruptcy? On or about Jan. 29. The utility was required, under a state law signed in September by former Gov. Jerry Brown, to give 15 days’ notice before filing. That’s what it did Monday. The notice came out about 12 hours after CEO Geisha Williams resigned. Q: What happens to Diablo Canyon decommissioning? Business as usual, according to PG&E. Normal operations at the nuclear power plant are not expected to be impacted by the bankruptcy, and the decommissioning process is expected to move forward as anticipated, PG&E spokesman Blair Jones told The Tribune on Monday. No layoffs of workers are anticipated, and the company does not have plans to sell or close Diablo Canyon prematurely. Q: If PG&E goes bankrupt, will it still pay local property taxes? PG&E is the largest taxpayer in San Luis Obispo County, representing about 5.88 percent of the county’s total budget, according to documents filed with the California Public Utilities Commission during the Diablo Canyon closure consideration. This means the county, local school districts, flood control zones and cemetery districts that receive revenue from PG&E’s property taxes will likely still get that money this year. Q: What about local donations from PG&E? This is one area that will definitely be impacted by the bankruptcy. According to the company’s “Reorganization Information” FAQ on its website, its charitable giving program for 2019 has been put on hold and will be subject to review under the bankruptcy proceedings. “We regret we cannot make any financial commitments toward events, programs or partnerships at this time,” reads the website. The PG&E Corp. Foundation’s charitable giving program — separate from the above program — is also being re-evaluated. So don’t expect any of those big checks from the company this year. Q: What will happen to workers’ pensions? Jones on Tuesday said PG&E doesn’t expect any changes to its tax-qualified pension plan. “The company currently intends to continue to make regular pension contributions to that plan as normal,” he said. Tom Danzell, business manager for the International Brotherhood of Electrical Workers, Chapter 1245, said on Tuesday that though he thinks the likelihood of the proceedings impacting local pensions is “extremely low,” it is one of the union’s most pressing concerns. “It’s a high damage if it were to. It’s something of great concern to employees and retirees,” he said. The union, which Danzel said represents 500 Diablo Canyon workers and a couple hundred other electrical workers between Buellton and Templeton, is committed to protecting its workers through the proceedings, he added. 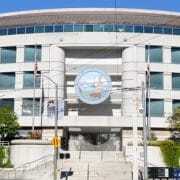 For more information on the reorganization efforts, visit PG&E’s “Reorganization Information”page on its website, www.pge.com. How will PG&E’s bankruptcy impact SLO County? Your questions answered, by Kaytlyn Leslie And Dale Kasler, The Tribune, January 15, 2019. Yes. When utilities file for bankruptcy, they don’t cease operations. PG&E’s utility unit — Pacific Gas and Electric Co. — filed for bankruptcy in 2001 during the California electricity crisis without interrupting service. PG&E said Monday it expects to have $5.5 billion in “debtor in possession” financing lined up to carry it through the bankruptcy process. Probably, but it’s impossible to say until the bankruptcy process is well underway. And for once, the decision to raise rates won’t rest solely with regulators at the California Public Utilities Commission. Rate increases will be tied to whatever reorganization plan the bankruptcy court judge overseeing the proceeding approves. California passed a law last year allowing PG&E to pass on to ratepayers some of the costs of wildfires for which it had been blamed in 2017, but it’s not clear how the law’s provisions will apply to a company that’s already in bankruptcy. Indeed, some of those provisions were designed to prevent utilities from going bankrupt. 3. What about the employees? They will continue to work, responding to outages and maintaining the company’s vast web of wires and natural gas pipelines. They will still get paid, and the company will continue to fund their health care, a senior executive with the company’s Pacific Gas and Electric utility said Monday. 4. What happens to all the wildfire victims suing PG&E? Filing for bankruptcy puts those lawsuits — total estimated liability: $30 billion — on hold and wraps them into the bankruptcy proceedings. That’s part of bankruptcy’s appeal to PG&E. The company would be able to bring all those cases into a single forum for resolving its financial problems, including wildfire suits. Bankruptcy filings also can force litigants to accept smaller settlements than they would have been able to negotiate otherwise. 5. How about the shareholders? Don’t expect to see your dividends again anytime soon. PG&E stopped issuing dividends after the 2017 fires, and a bankruptcy proceeding would likely put off the resumption of issuing dividends by several years. But analysts don’t expect shareholders to be wiped out. 6. What role is the state taking? The legislature last year gave PG&E the ability to issue bonds to pay off its 2017 wildfire lawsuit costs. A key state politician has drafted — but not yet introduced — a bill that would do the same for 2018. But PG&E argues the bond process set up by the legislature will take too long to help. Meanwhile, California politicians seem to be losing patience with PG&E. Governor Gavin Newsom’s response Monday morning didn’t indicate he would try to prevent the bankruptcy. 7. Could this interfere with California’s climate change goals? California is requiring all its utilities to increase their use of renewable power, and PG&E has already lined up enough power purchase contracts to meet the state’s targets for the next few years. But the state’s climate fight very much relies on healthy electric utilities in multiple ways, such as deploying electric vehicle charging stations and making homes more efficient. 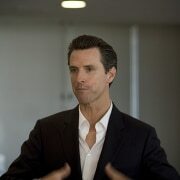 Newsom is expected to make climate one of his signature issues and has already said that he wants California’s utilities to be strong enough to invest in the state’s energy transition. Meanwhile, analysts are waiting to see if PG&E will use bankruptcy proceedings to get out of some of the most expensive renewable contracts it signed years ago, before the costs of wind and solar power plunged. Who Could Get Hurt by PG&E’s Fire-Driven Bankruptcy: QuickTake, by David R. Baker, Bloomberg, January 14, 2019. “PG&E provides gas and electric service to 16 million Californians. From the moment I was elected, I have been closely monitoring the impact of PG&E’s existing and potential future liability for the deadly wildfires on the victims of the fires and the consumers who rely on PG&E for their electric and gas service. “When I took office one week ago today, I immediately instructed my team to meet with the California Public Utilities Commission, CAISO, PG&E, and labor unions representing the workers who work for PG&E. My staff and I have been in constant contact throughout the week and over the weekend with these stakeholders and regulators. Everyone’s immediate focus is, rightfully, on ensuring Californians have continuous, reliable and safe electric and gas service. Governor Newsom Statement on PG&E Announcing Intention to File Bankruptcy, Office of Governor Gavin Newsom, January 14, 2019. Pacific Gas & Electric Corp., the country’s largest utility, announced Monday it will file for Chapter 11 bankruptcy — a move that creates uncertainty as to whether Humboldt County energy ratepayers will be affected. PG&E currently faces $30 billion in potential damages from litigation over a series of wildfires in California during 2017 and 2018. Many were killed and thousands of structures were destroyed. 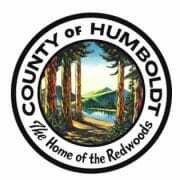 The Redwood Coast Energy Authority Board of Directors will receive an update Jan. 28 as to how the filing will impact local energy rates. 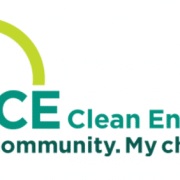 The board has already heard from PG&E, which said the utility’s bankruptcy won’t change rates “in any way,” RCEA board member and 2nd District Supervisor Estelle Fennell told the Times-Standard. 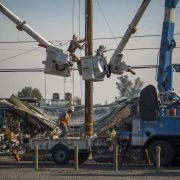 “We’re working with PG&E and (Community Choice Aggregators) to find out in the long term how they’re going to resolve PG&E’s role in the provision of power,” Fennell said. The California Public Utilities Commission, which oversees all state utilities, could possibly look at a restructuring, Fennell suggested. Locally, PG&E owns multiple Eel River dams and over 5,000 acres of land in the area, which the utility was using for the Potter Valley energy project. 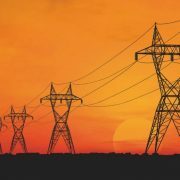 In September, the utility began seeking to auction off the parcels associated with the project. Rep. Jared Huffman said the utility’s status will be a state issue and out of his purview, but he added that it’s “hard to imagine” that the bankruptcy won’t affect ratepayers at some level, given the scale of liability. Shomik Mukherjee can be reached at 707-441-0504. The Associated Press contributed to this report. PG&E tells local officials bankruptcy filing won’t affect energy rates, by Shomik Mukherjee, Times Standard, January 14, 2019.